The International Labour Organization (ILO) states that child Labour is “a violation of fundamental human rights”, which impairs a child’s development, potentially leading to lifelong physical or psychological damage. The organization’s comprehensive reports (An economic study of the costs and benefits of eliminating child Labour (Geneva, IPEC, 2004), pp. 4-5) on the subject of child Labour and economics showed that eliminating child Labour could actually help developing economies generate economic benefits nearly seven times greater than the costs incurred in better schooling and social services. According to statistics, India has the dubious distinction of hosting the largest number of child Labourers in the world. Even according to a report by the Indian Ministry of Labour, Indian child workers are engaged in a wide range of hazardous and stressful occupations. Kids in the agriculture sector are made to carry heavy loads and sprinkle harmful pesticides on crops. October, 2014, saw a blast at a cramped firecracker-manufacturing unit in the East Godavari district of the southeast state of Andhra Pradesh left almost a dozen people dead, including many children who used to work there. India’s beedi (cigarette)-making industry is particularly notorious for employing kids as young as seven years old. While government figures put the total number of workers engaged in this informal industry at 4.4 million, activists claim the real number is nearly double that, totaling roughly 10 million children. The Union Cabinet’s approval of the amendments to the Child Labour (Prohibition and Regulation) Act, 1986, has had its heart in the right place, but yet fails to live up to its expectations. The amendment proposes to ban the employment of children below 14 years in all occupations except “family enterprises” and the “audio-visual entertainment industry”, on the condition that such work does not interfere with their education. Amendment also defines “adolescents”, as children between the ages of 14-18. While undoubtedly the Act does a lot of things for the very first time, the current Amendments leave us with many more new issues and unanswered questions. According to the amendment, children below the age of 14, cannot be employed anywhere, except in non-hazardous family enterprises or the entertainment industry. The latter includes working as an artist in an audio-visual entertainment industry, advertisement, films, television serials or any such other entertainment or sports activities, except the circus. It is important to note that the original child Labour law banned employment of children below 14 years of age in only 18 hazardous industries. The amendments have also relaxed the penal provisions for parents or guardians, who were earlier subjected to the same punishment as the employer of the child. However, in case of parents being repeat offenders, they may be penalized with a monetary fine up to Rs 10,000. However, employers would be penalized even for the first offence. Although increasing the scope of the Act through the current amendments is deeply appreciated, what is troubling is the legislative intent to exempt ‘family enterprises’ and the entertainment industry, from a list of prohibited work places. While the Legislature contended that poverty and socio-economic conditions in India justify children helping their families in certain occupations where the possibility of any harm coming upon them does not exist, provided that they balance the work with schooling, it should be noted that in rural India, several industries where children are employed, from biri making factories to jute, are traditionally ‘family businesses’. The law potentially opens loopholes that will sustain or even encourage child Labour, creating a regulatory nightmare, in such ‘family business.’ ‘Family enterprises’ fall under the unorganized sector, making them a legal category that is hard to govern due to its unclear scope, which makes it easy for children to be exploited under it. Such a law, allowing existence of ‘family enterprises’ will adversely affect girl children who are often forced into domestic work, or Dalits and those from the minorities who work out of dire poverty but are ultimately denied the joys of childhood. So-called “family enterprises” are no better, experts’ contend, as these includes such industries as matchbox making, carpet weaving and gem polishing. In these sectors, where child Labour is in high demand, police raids have highlighted inhumane conditions in which children are made to work for no pay, with scant food and no access to toilets. Data collected by UNESCO and other organizations paints a very grim picture. It proves that despite the laws for children being in place in the country children are employed in sectors like agriculture and industries like manufacturing of matches, bricks, glass bangles, leather, footwear, carpet weaving, mining mica, rolling cigarettes, street vendors, domestic helps and as forced or bonded Labour in quarrying, bricks kilns and commercial sexual exploitation. “A closer scrutiny of the government’s [amendment] reveals that children of all ages may in fact be used for Labour in some of the most hazardous industries in the country. The Cabinet’s idea of striking a balance between the need for education for a child and helping parents to earn better incomes makes no sense,” says Amod Kanth, founder of Prayaas, a non-profit organization working for children’s welfare. According to the social activist, relaxing legislation on child Labour as a means of alleviating poverty is a deeply flawed strategy. “The move will nullify whatever progress the country has made in getting children out of forced Labour and into school. As it is government surveys are known to under-report child Labour. If child Labour is legalized, the situation will spiral out of control,” Kanth had stated. 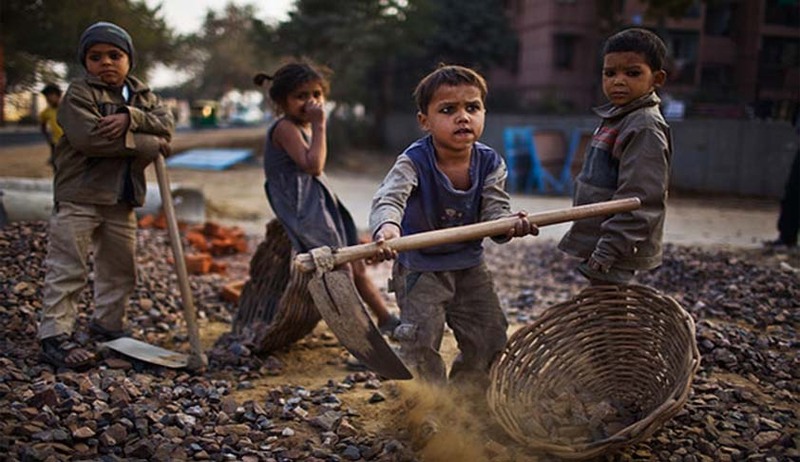 Even a report by the Parliamentary Standing Committee on the Child Labour Amendment Bill, 2012 underscores the fallacy of the government proposing to keep a check on children working in their homes. Indian Nobel laureate Kailash Satyarthi, who helms the child rights non-profit organization Bachpan Bachao Andolan, has been calling for a ban on every form of child Labour in India for kids up to 14 years of age. Activists fear that the provision allowing children to help out in domestic or family-based occupations will enable families to flout or skirt the new law. It is contended that by virtue of the fact that the meaning of ‘family enterprises’ being vague inherently, this may lead to increase in child Labours in unregulated unorganized cottage industries. Apart from that it is also disheartening that the Ministry considers only physical hardships of Children worth noticing and not their emotional and mental stress. While the entertainment industry may not physically torment them but it can yet leave them psychologically scarred. Having young kids work in an environment where, at time, social evils are portrayed in an entertaining and alluring manner, is definitely not going to benefit their young minds. Why the Ministry permitted the entertainment industry, of all places, to employ child Labour, when it would clearly be detrimental to the children’s psychological well being, is beyond anyone. While the amendments do have certain pros, the Union ended up negating its good work by reducing the budget allocation for the Ministry of Women and Child Development from Rs.18, 588 crore to Rs.10, 382 crore. The current Act needs to be drastically overhauled to not only impose a complete ban on Child Labour but also bring about an efficient rehabilitation system. Banning child Labour would only be the first step. The next crucial step would be to rehabilitate and secure a future for all rescued children. This requires an interlinking of ‘rescue, rehabilitation and schooling’ through greater coordination among Ministries and organizations, and the inter-locking of the provisions of existing laws such as the RTE Act, the Bonded Labour System (Abolition) Act, 1976; the Factories Act, 1948; the Beedi and Cigar Workers Act, 1996, the Juvenile Justice Act and so on.